Rimini Sunset are a Berlin-based DJ, live and production act consisting of Bram van der Poel (aka BRM) and Gunnar Menzel (aka Schwipp Schwapp). The pair make Italo Disco music with the spirit of seedy 70s basement dives, strobe excess and condensed sweat stained discotheque walls. For their debut release on No Static we present a slight detour from their usual gyrating deco-greco roman disco sound. Things take a downtempo detour with the haunting, slow-funk synth-grinder â€œKusâ€. 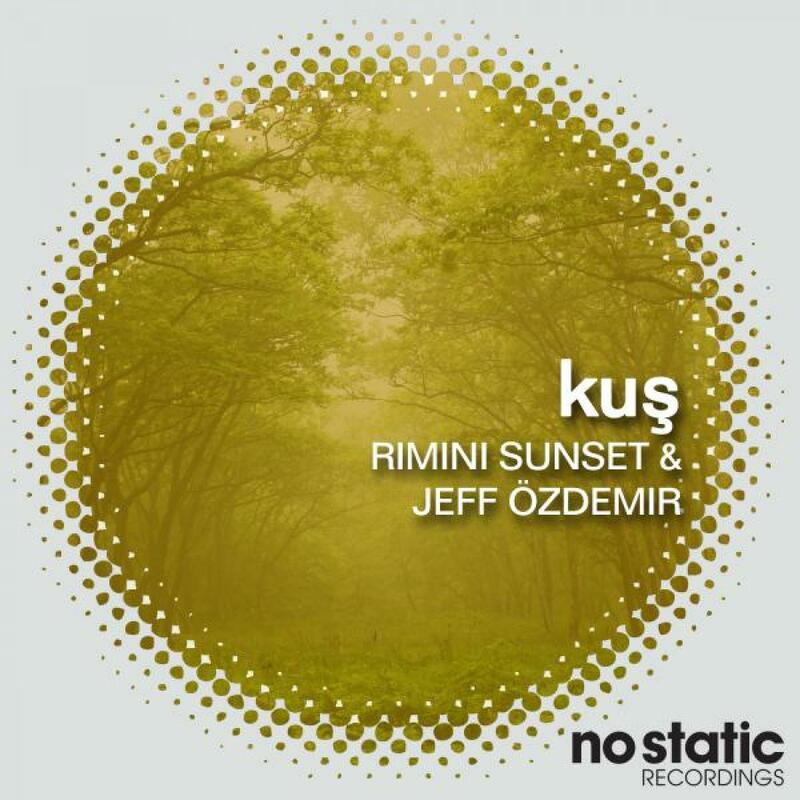 Here in collaboration with Jeff Ã–zdemir they create a foreboding soundscape and layered synths, electronic percussion and brooding Turkish spoken vocals (Kus is tirkish for â€œBirdâ€). On the remix Zuckermann takes things on a sleazy tech house rerub, QPRT gets slightly experimental and Russian based Babak lightens the mood with his jazz house re-rub and Groovy bass guitar, electic piano and darting synths. Written by Bram van der Poel & Gunnar Menzel. Remix & Additional Production on 2. by Zuckermann, 3. by QRRT_Anapa, 4. by Babak.